Download Lecturer's Slides: Slides 1, Slides 2 in pdf file. 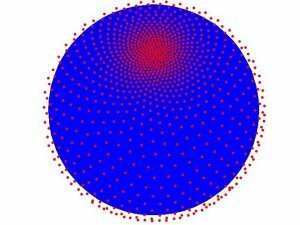 Radial Basis Function (RBF) methods for the solution of partial differential equations have generated enthusiasm among researchers and made RBF methods an emerging topic. RBF methods have become popular for their mesh-tolerance, simplicity of implementation, and dimension-independence. The impact of RBF methods is evident by the large number of publications on RBF methods which have appeared in the past decade in mathematics, physics, and engineering journals. It is a field which has grown through significant collaborations across disciplines, and the open and free exchange of ideas and MATLAB research codes. RBF methods have also been successfully applied to large scale geophysical computations, which demonstrates their great potential in simulation of physical problems. Despite their growing popularity, there have been few, if any, conferences dedicated to RBF methods. We propose to host the regional conference entitled Radial Basis Functions: Mathematical Developments and Applications. The mission of our RBF conference is to educate and motivate researchers (at all levels) and students in RBF methods, and to stimulate and inspire research in this field. 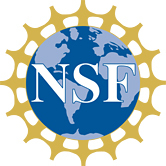 The conference will feature ten talks by two leading researchers in this field, Bengt Fornberg at the Applied Mathematics Department of the University of Colorado at Boulder and Natasha Flyer at the Institute for Mathematics Applied to Geosciences of National Center for Atmospheric Research (NCAR). In addition, supplementary forty-minute talks will be given by attendees who are emerging leaders in this field, who will focus on topics ranging from the numerical analysis of RBF methods to their applications to large scale physical problems. Additionally, an expository monograph based on ten lectures will be prepared and made available for non-participants, and a web site devoted to the conference will make it accessible to those who could not attend. The talks will be designed to appeal to both experts and novices, and to stimulate discussion and collaboration between the speakers and attendees about recent advances and open problems in RBF. This conference will provide an environment to communicate the latest research and development of RBF methods in recent years, and will attract a wider and more diverse group of researchers to undertake research in RBF methods and build a supportive community of RBF researchers. The details about this conference can be found in our awarded NSF-CBMS: proposal, reference, and project summary.